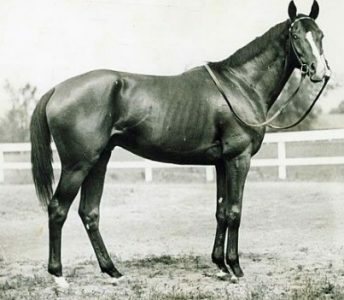 In 1930, the great Triple Crown champion Gallant Fox became the first Wood Memorial Stakes winner to capture the Kentucky Derby and, in the 78 years since, ten have followed in his hoofsteps to win in New York and then wear the Roses in Louisville on the first Saturday in May — Twenty Grand, Johnstown, Count Fleet, Hoop Jr., Assault, Foolish Pleasure, Bold Forbes, Seattle Slew, Pleasant Colony and Fusaichi Pegasus. And while no Wood winner since 2000 has accomplished this feat, each year an exciting bunch of sophomores race the nine furlongs over Aqueduct’s main track in search of a spot in the Derby starting gate. Once again in 2019, the Wood Memorial carries a $750,000 purse, a Grade 2 designation and is one of seven prep races to offer points on the Road to the Derby on a scale of 100-40-20-10 to the top four finishers. The Wood Memorial winner will absolutely qualify for a spot in the Kentucky Derby starting gate. And, this year, 11 will go postward in an attempt to turn around an 18-year trend of winners who went on to disappoint under the Twin Spires. Yet, as any racing fan knows, these trends can be easily broken. A year ago, a horse who was unraced as a 2-year-old broke the lengthy “Curse of Apollo” to win not only the Kentucky Derby, but also the Triple Crown. And despite its recent reputation for not producing Derby winners, the Wood hasn’t always had trouble in that area. In addition to Gallant Fox, the race also boasts fellow Triple Crown winners Count Fleet, Assault and Seattle Slew as previous winners, as well as legendary names who didn’t win the Derby but went on to standout careers, such as Hill Prince, Native Dancer, Nashua, Bold Ruler, Damascus, Dancer’s Image, Slew o’ Gold, Broad Brush, Gulch, Easy Goer, Devil His Due, Unbridled’s Song, Empire Maker, Tapit and Frosted. Also the great Secretariat famously finished third in the Wood in 1973 and was discovered to have an abscess in his upper lip, which many believed was the reason he lost the race. And because of its recent reputation, it’s no surprise that the records held for leading jockey and trainer belong to a pair who have long since passed — Hall of Famers Eddie Arcaro (rode nine winners) and Sunny Jim Fitzsimmons (saddled seven winners). The leading owners with four each are also outfits long since shuttered — William Woodward’s Belair Stable, for which the Woodward Stakes (GI) is named, the Whitney Family’s Greentree Stable and Cornelius Vanderbilt Whitney himself. The late New York Yankees owner George Steinbrenner’s Bellamy Road still holds the record for the fastest nine-furlong Wood Memorial when, in 2005, he stopped the Teletimer in 1:47.16. Friday’s rain in New York is set to dissipate by Saturday and the temperature is expected to reach into the upper 60s under mostly cloudy skies. A fast track and a firm turf course is likely all day. The Wood has been carded as the 10th race with a post time of 6:00 p.m ET. Tax (9/2 morning line odds) – This talented son of Arch, who was haltered for $50,000 out of his second start, returns after winning the Withers Stakes (GIII) two months ago, his connections electing to skip the Gotham and go right in here. Trainer Danny Gargan has trained stakes winners, but Tax is probably the biggest one. Junior Alvarado has yet to collect a Wood trophy to add to his many career stakes wins. Tacitus (5/2) – The Tampa Bay Derby (GII) winner is the 5-2 morning line favorite and should be, having won in Tampa in his last (which was also his stakes debut) to remain undefeated in three starts. Hall of Famer Bill Mott has had a lot of winners, but none in the Wood and Eclipse winner Jose Ortiz is winless in the Wood so far. Hoffa’s Union (6/1) – A private purchase by Gary Barber, Wachtel Stable, Christopher Dunn, Rose Petal Stable and Foard Wilgis after a whopping 15-length maiden romp at Laurel in late February, this $11,000 gelded son of Union Rags makes his first start for trainer Mark Casse. He’s been at the Casse Training Center in Ocala for a while, but has a nice work at Keeneland for this stakes debut in his second start. Dylan Davis hasn’t won a Wood, but his father Robbie was aboard Coronado’s Quest for the victory in 1998. He is one of four who was a late nominee to the Triple Crown on Wednesday. He runs with Lasix for the first time here. Haikal (7/2) – The Gotham winner returns off a three-race streak for trainer Kiaran McLaughlin, who saddled Frosted to win in 2015. This Shadwell homebred son of Daaher is bred to go this nine furlongs and will have two-time Wood-winning jockey Rajiv Maragh aboard (2014, Wicked Strong; 2017, Irish War Cry). Final Jeopardy (8/1) – This Jason Servis trainee makes his graded debut off a 3 ¾-length allowance win at a mile at Gulfstream Park last out. This is the third Derby hopeful owned by Gary and Mary West, who also have Breeders’ Cup Juvenile (GI) winner Game Winner running in the Santa Anita Derby (GI), and Florida Derby (GI) winner Maximum Security. 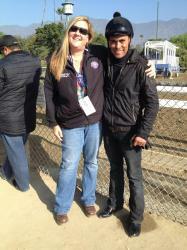 Jockey Manny Franco hasn’t won a Wood Memorial yet, though he hasn’t ridden in many. Overdeliver (20/1) – This maiden-winning son of Overanalyze carries some strong Wood Memorial connections. Trainer Todd Pletcher has saddled five winners (2010, Eskendereya; 2012, Gemologist; 2013, Verrazano; 2016, Outwork; and 2018, Vino Rosso) and Repole Stable owned Outwork and a part of Vino Rosso. Kendrick Carmouche rides, looking for his first Wood win, and while this $100,000 yearling is loaded with credentials and potential, he’s in pretty tough. Not That Brady (20/1) – This New York-bred son of Big Brown has done well in state-bred stakes, but has struggled in open company for trainer Rudy Rodriguez, who wins a lot of races but hasn’t won a Wood yet. Reylu Gutierrez is searching for his first Wood win from his first mount in the race. Grumps Little Tots (30/1) – This $37,000 son of Sky Mesa is another one of the four late Triple Crown nominees off of his 6 ½-length maiden win here in February at a mile. He’s trainer Jason Servis’ other runner here and has his work cut out for him in his first start against winners. Jose Lezcano rides and has yet to win the Wood. Math Wizard (30/1) – This son of Algorithms has been claimed almost as many times as he’s run and this first Wood starter for trainer Saffie Joseph Jr., who won a $25,000 claiming race at Gulfstream Park in February, is going to give it a whirl here. Hot jockey Eric Cancel rides, but a good rider probably won’t be enough. Outshine (6/1) – This Tampa Bay Derby runner-up is also trained by Pletcher, but will be ridden by his top jockey John Velazquez, who is the current active leader in wins of the race with four, all of which came aboard Pletcher horses — Eskenderaya, Verrazano, Outwork and Vino Rosso. He doesn’t need to improve much to be effective or even post the mild upset. Joevia (30/1) – The final late Triple Crown nominee in the field off a pair of seconds in two non-graded stakes at Laurel, this Greg Sacco trainee is a promising runner, but maybe not in this spot. Sacco had Grade 1 winner Mind Control, who wasn’t doing well and was pulled from Derby consideration earlier this year. So, hopefully, this one is a decent replacement. Nik Juarez rides in search of his first Wood win.